Skoda’s new SUV will be called the Kodiaq. The name refers to the Kodiak bear that lives on a remote island off the southern coast of Alaska. Its spelling is derived from the language of the indigenous people – the Alutiiq. The SUV was first seen as the Skoda VisionS concept car at the Geneva Motor Show, 2016. At 4.70 metres long, the Kodiaq can comfortably seat seven people and offers ‘remarkable performance’ according to the Czech brand, both on and off the beaten track. 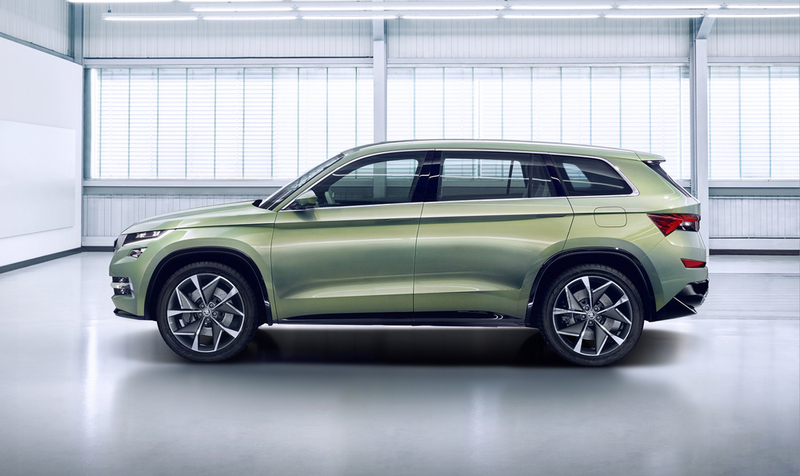 Skoda describes the new SUV's design as featuring ‘distinctive, muscular lines representing a dynamic, robust and strong appearance’. ‘Discover new ground’ will be the strap line when launching the new, Kodiaq which marks the beginning of the brand’s new SUV campaign aimed at attracting a new consumer group in the fast-growing SUV segment. The Skoda Kodiaq celebrates its public debut in the second half of 2016, with launch planned for early 2017.